Fire blankets have become recognised as an essential fire fighting aid in the home and in your premises canteen etc, fire blankets are used to smother and extinguishing fire in domestic, commercial and industrial applications. 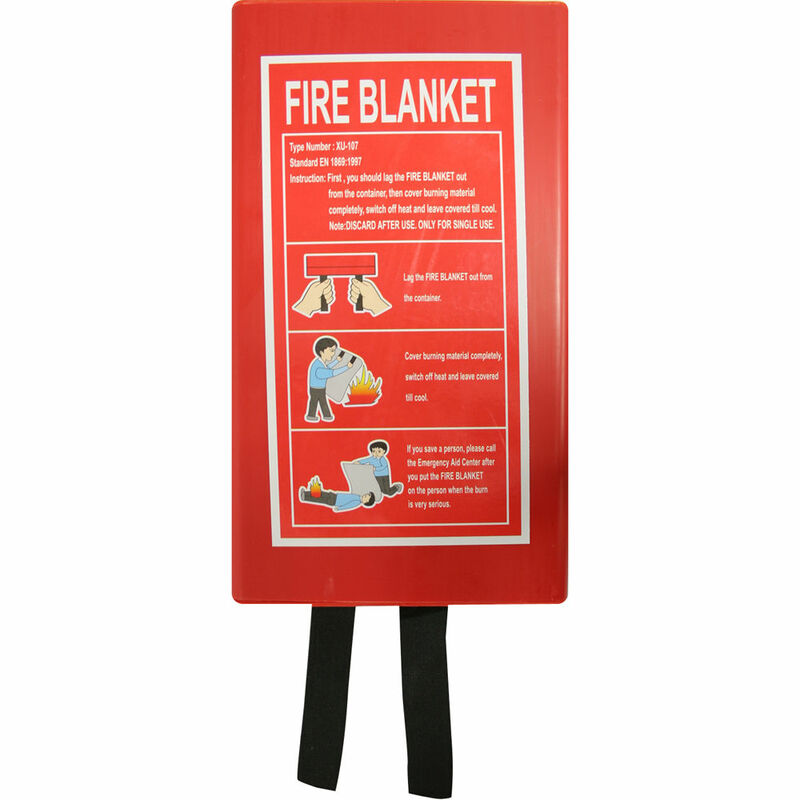 Having a fire blanket which is of the highest quality and reliability is of paramount importance. This 1m x 1m Fire Blanket is designed for extinguishing pot and pan fires and can also be used to wrap around persons in the event that clothing catches fire. Manufactured to EN 1869:1997 , the 1m x 1m Fire Blanket is suitable for domestic use only.